Another Sunday, another visit to church for regular congregant Jennifer Garner. Though he'd arrived separately, her estranged husband Ben Affleck had turned up to services that day as well. Both 44-year-olds were nicely turned out, the 13 Going On 30 star having pulled on an elegant sky blue dress. Her hem stopped a bit above the knee, allowing her to showcase her impressively toned legs as she headed up the pavement. A large watch glinted on her left wrist as she carried a black leather purse that complemented her red-soled black stilettos. She'd pulled her sunglasses up onto her head, pulling back her hair, which otherwise fell free onto her thin black jacket. Jennifer Garner carries with her a simple sophistication wherever she goes. She prefers classic pieces that don't speak too loudly, but can be worn over and over again with any number of different outfits. Take for instance this timeless satchel she carried to church this morning by Proenza Schouler. We love the structured shape of her purse that is roomy enough to fit all one's essentials without weighing you down. Not to mention, the beautiful elephant grey hue is seasonably and sartorially versatile. Click right to buy to invest in Jennifer's shoulder beauty from Nordstrom. It will certainly be the gift that keeps on giving but if you're in the market for alternatives that pull less on your purse string then don't hesitate to take a look below! Once services ended, she was seen leaving with her and Affleck's three children: 11-year-old Violet, seven-year-old Seraphina and four-year-old Samuel. 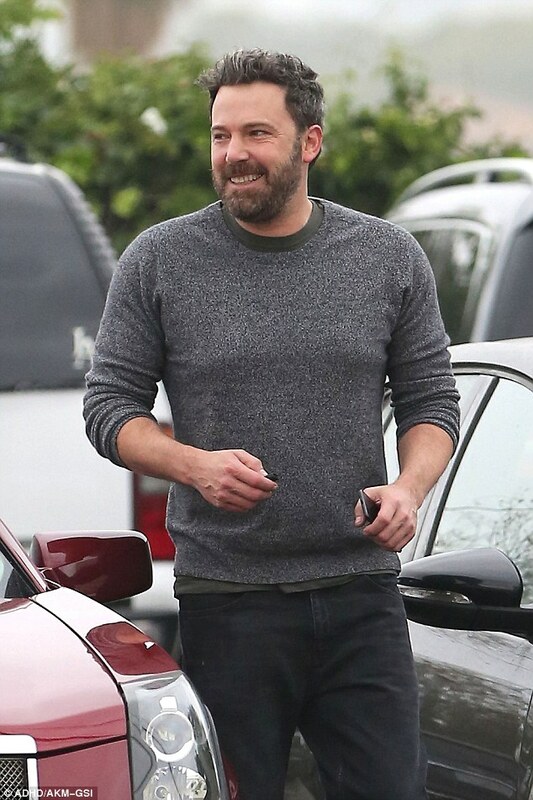 Meanwhile, the Batman V Superman: Dawn Of Justice star looked upbeat, having selected a pewter grey jumper that emphasised his well-built physique. He'd rolled his sleeves up, showcasing his toned forearms whilst he crossed the car park in faded grey and white trainers. Black jeans completed the Argo director's ensemble, and he'd slicked up the front bit of his dark brown hair. After the service, he wished the photographers a merry Christmas as he walked back across the car park to his vehicle. Whilst promoting her Christian-themed film Miracles From Heaven, which opened in March, Garner discussed going to church with her children.